Doris Galey, 91, of Girard, passed away on Saturday, June 23, 2018, at Vista of Niles. Doris was born on August 19, 1926, in Youngstown, Ohio, the daughter of Ralph and Helen (Domholf) Trittschuh. Doris was a 1944 graduate of Rayen High School. She had worked at G.M. McKelvey and did office work for Dr. Harry Gaskeen, before becoming a devoted wife and mother to her family. 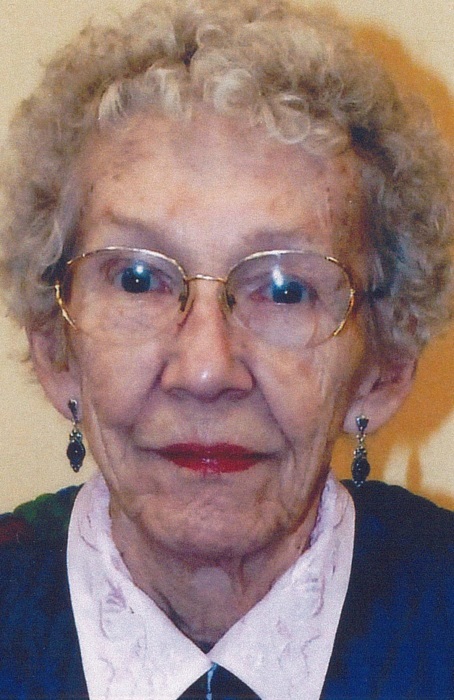 She was a member of Gospel Baptist Church and enjoyed traveling, gardening, needlework, jigsaw and crossword puzzles. She leaves to cherish her memory, her children; C. Neil (Deb) Gettig, Sue Gettig, Dave (Rhonda) Gettig and Barb Lucero, grandchildren; Rebecca (Ken) Wells, Rachel (Rob) Hall and Jeremy (Serene) Gettig and great-grandchildren; Kinsey Warren, Logan Wells, Jace Wells, Caitlyn Gettig and Ansley Gettig. She is preceded in death by her first husband, C. N. Gettig Sr. who died in 1988, her second husband, Leon E. Galey, who died in 2001 and her brother, Richard Trittschuh. A memorial service will be celebrated on Doris' birthday, August 19th, 2:00 PM at Blackstone Funeral Home in Girard, where the family will receive relatives and friends from 1:00 PM until the time of service.